If you are like me, you might find yourself staring at a carton of eggs in your fridge, trying to remember when you bought it. Use/sell by stamps can be misleading and if you buy your eggs at a farmer’s market, the carton may not even be marked with an expiration date at all. You probably don’t want to throw away perfectly good eggs, just because you are worried that they may have gone bad. And you definitely don’t want to crack open a rotten egg, it’s really nasty, trust me. So what can you do? 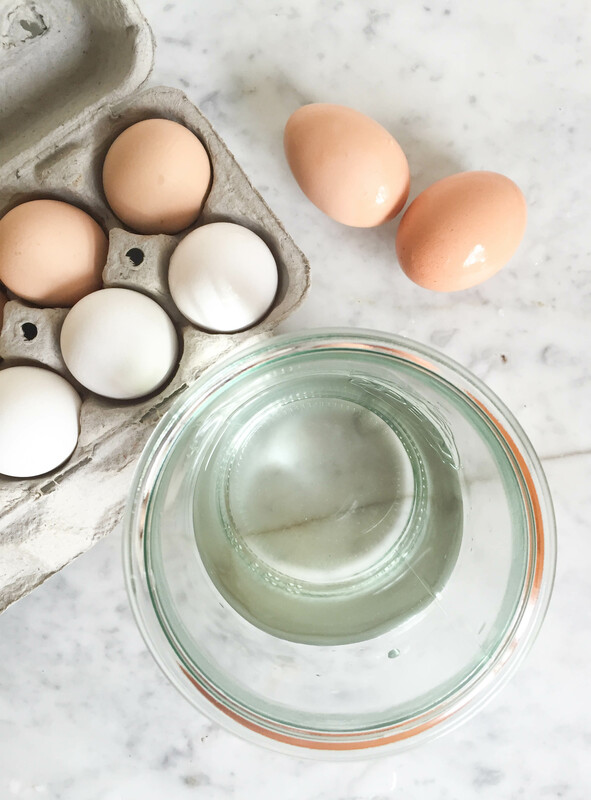 Luckily, there is a super easy and quick way to determine how fresh eggs are: the float test. While it is not 100% accurate, it gives you a very good idea whether an egg is safe to use or not. So how does it work? Basically, you gently drop an egg into some water and see if it floats. A fresh egg will sink to the bottom and lie on its side, while a rotten egg will float to the top. But why do rotten eggs float? An eggshell contains two membranes that form an air pocket between them at the thicker end of the egg. If an egg is fertilized, this air pocket will serve as the oxygen supply for the developing chick. Eventually, the oxygen will be used up and the carbon dioxide that the chick has been exhaling will need to be replaced by fresh oxygen. To allow such a two-way gas exchange, eggshells have thousands of tiny pores. Those pores are the reason chicks do not suffocate inside their shells. But what does this have to do with the eggs in your fridge? As an egg ages, some of the moisture inside of the shell evaporates through the pores and is replaced by air. The decay processes at work inside the egg will produce additional gases, making the air bubble grow even larger. Since the gas inside the egg has a lower density than water, it will make the egg float to the top. It’s that simple. The only thing you have to watch out for is small cracks in the eggshell. When the shell is broken, the gas can escape too quickly, rendering the whole float test useless. If you see a lot of bubbles rising up from a specific point on the shell after dropping the egg in the water, it’s a good indicator that the shell may have a little crack somewhere. If the egg is a little bit older, it will tilt, so the air bubble at the thick end is pointing upwards. Eggs that tilt up or stay suspended in the water without bobbing to the top are still safe to eat, but should be used soon. If the egg floats to the top, it is most likely not safe to eat anymore and should be discarded. And there you have it. No more standing in front of the fridge wondering whether those eggs have gone bad or not.